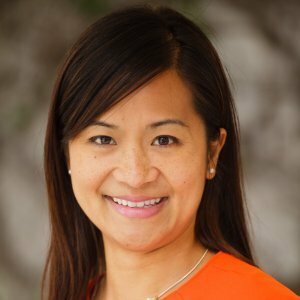 LOS ANGELES--(BUSINESS WIRE)--The Gehr Group (www.gehr.com) announced today the appointment of Ms. Thuong Luong as Chief Investment Officer for its new division, Gehr Hospitality, which will own and operate the Group’s current and future hospitality portfolios. The appointment of Ms. Luong to the newly created role of CIO is part of a plan to grow Gehr Hospitality’s portfolio through the acquisition and development of hotel properties throughout the United States. Prior to joining Gehr Hospitality, Ms. Luong was Vice President of Portfolio Management at Laurus Corporation, a real estate development company that specializes in full service luxury and deluxe hotels and resorts, resort master plans, and mixed-use developments, as well as multi-family residential properties both in the US and Internationally. During her tenure at Laurus, Ms. Luong helped grow the company’s portfolio from one asset to 24, where she was responsible for all aspects of acquisition, disposition and restructuring of the Company’s real estate investments, including due diligence, contract negotiation, capital structuring and negotiations of franchise and property management agreements. She also oversaw the asset management function of the company’s portfolio of hotels and Class A office buildings. Previously, Ms. Luong was with a private equity firm Asset Management Finance, LLC (“AMF”), a New York based alternative investment subsidiary of Credit Suisse Group that focuses on investing in both traditional and alternative asset managers. At AMF, Ms. Luong was responsible for company research, structuring and underwriting, and monitoring of AMF’s 18 portfolio investments with total invested capital of $500 million. Before joining AMF, Ms. Luong was an investment banker at U.S. based Deutsche Bank Securities Group where she assisted in the development of Deutsche Bank’s asset management sector coverage and was involved in multi-billion dollar capital raising and M&A advisory services transactions. Ms. Luong’s philanthropic activities include co-founding Vital Corporate Advisors, a non-profit organization that focuses on providing financial advisory services to microfinance institutions in South East Asia and serving as an independent board member for an Asian microfinance institution. She is currently a Board Member of A Community of Friends (“ACOF”), a non-profit affordable housing developer for people with special needs. She received her Bachelor of Science in Finance & International Business from Georgetown University’s McDonough School of Business with honors. Founded in 1965, The Gehr Group is a diversified concern headquartered in Los Angeles, California. Its principal business units are engaged in international trade, real estate, manufacturing, wholesale and distribution. Additional information about The Gehr Group is available at the company’s website, www.gehr.com.